A few weeks ago I blogged about the practice of using mayo and raw eggs in your hair. Although it’s not a practice I recommend, these ingredients can be beneficial to your hair. Is there another way to get the same results without the mess and embarrassment of egg in your hair? In my research, I learned that it’s the protein and the oily nature of mayo and raw eggs that benefit your hair. Lucky for us all, Mane ‘n Tail provides other options. One of these options is Olive Oil Crème, a leave-in conditioner with a natural balancing treatment that locks in moisture to help stop damage at the roots, allowing for longer, stronger, healthier hair. We’re all familiar with olive oil, we probably all have a bottle in our kitchen. 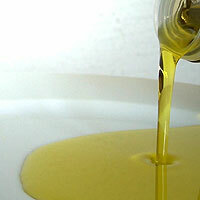 Most of us know the trend has been to use olive oil over vegetable oil when cooking. But do you know why? Olive oil is more natural than vegetable oil, with antioxidants that help lower cholesterol and keep our heart healthy. Studies suggest that olive oil helps prevent and treat heart disease by controlling “bad” cholesterol levels while raising “good” cholesterol levels. People living with diabetes can also benefit from olive oil. The American Diabetes Association recommends replacing saturated fats with unsaturated fats, which you can do by substituting olive oil when the recipe calls for butter. Olive oil can help with asthma as well. The antioxidant properties provide anti-inflammatory compounds that are likely to improve lung and airway support. The benefits that you get from using olive oil in your cooking carries over to other aspects you might not think of right away — your skin, your hair, your hands and nails. The high volumes of Vitamin E and antioxidants in olive oil work topically too, protecting your skin from free radicals in the environment just like when it’s ingested. Massaging olive oil into your hair will benefit your scalp, keeping it healthy while also providing a relaxation that helps relieve stress. It provides a natural shine to your hair and strengthens your hair for better elasticity and less breakage and hair loss. Keeping with its “magical” status, olive oil works great for every hair and skin type. Mane ‘n Tail’s Olive Oil Crème is a special blend of nutrifying olive oil, vitamins, natural herbs and essential oils in an exclusive hydro-gel formula that rejuvenates hairs’ natural elasticity and strength. It restores lost moisture while conditioning the scalp and helps to prevent breakage, split ends, frizz and dryness for smoother, softer shinier, more manageable hair. 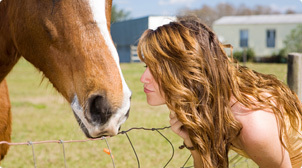 Connect with Mane ‘n Tail!